Let’s see how to configure it and how the users can see and interact with this service. 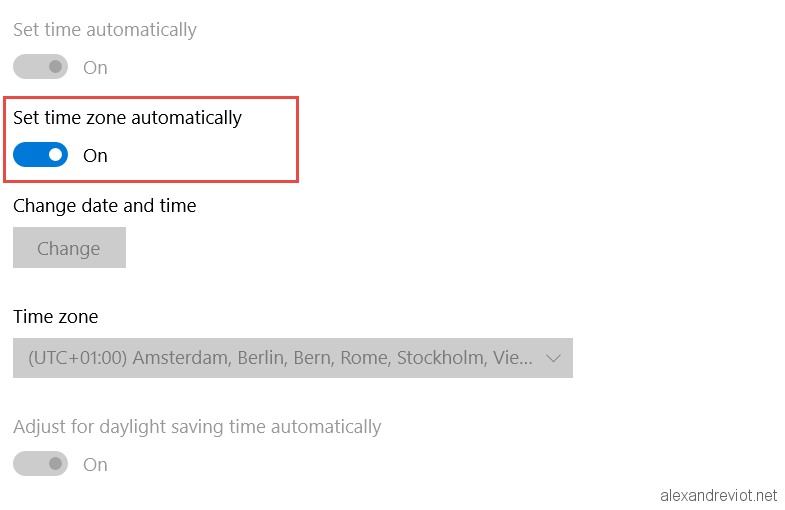 Strangely for this function, a standard user cannot modify the Automatic Timezone but an Admin user could do it. 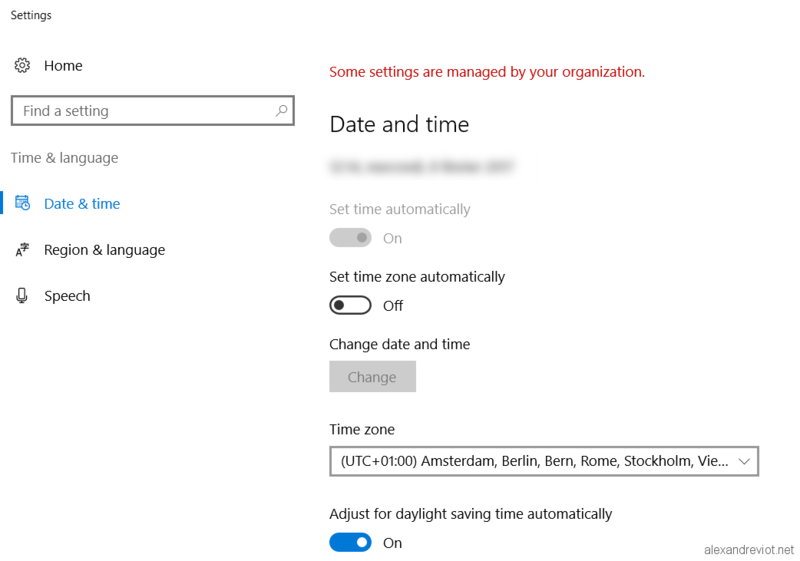 More than that, the standard user does not even see the option in the Settings/ Time & Language / Date & Time control panel. 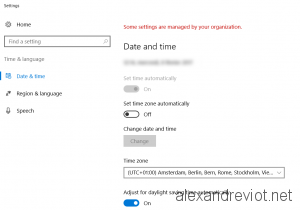 Automatic timezone uses the Windows 10 localization feature to detect the current country. 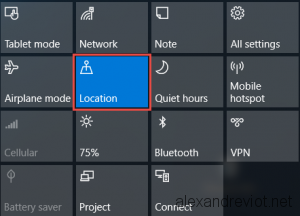 In order to change the time, you need to be sure that the user enables the option in Action Center. 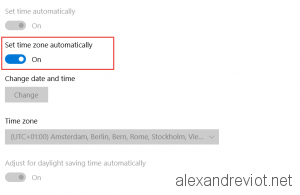 You can get more information about Timezone and country here. 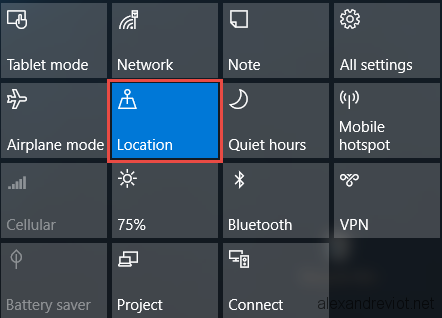 This entry was posted in GPO, Windows 10 and tagged 10, automatic, country, date, detect, GPO, group, hours, key, location, policy, registry, time, windows, zone. Bookmark the permalink.